Technology in schools is becoming a lot more advanced as time goes on. 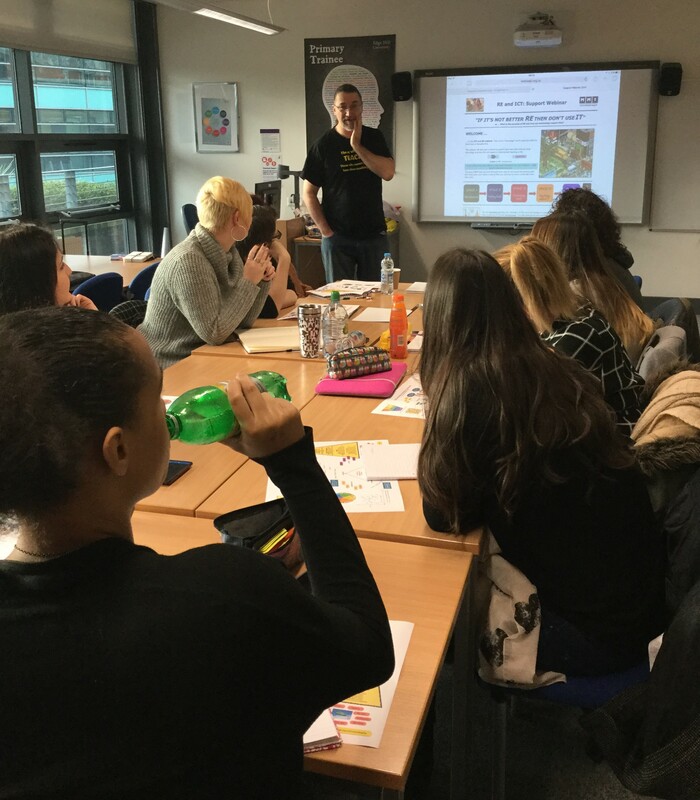 Recently, Paul Hopkins, showed third year Undergraduate Secondary RE students an array of different types of technologies that they could use in RE, and it was fantastic! He is currently involved in two international research projects on using technology as a pedagogical tool. His session focused on the different ways to use different types of technology in RE to enhance the learning experience for both pupils and teachers, and how these technologies can help with both formative and summative assessment. 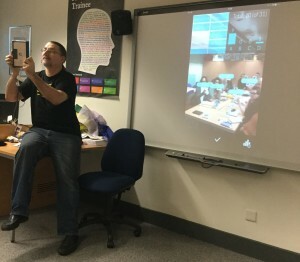 Paul explained the concept that we as teachers should communicate, create and curate; communicating can be through the platforms of Twitter, blogging, Google Docs and Skype (if in a rural school for example). 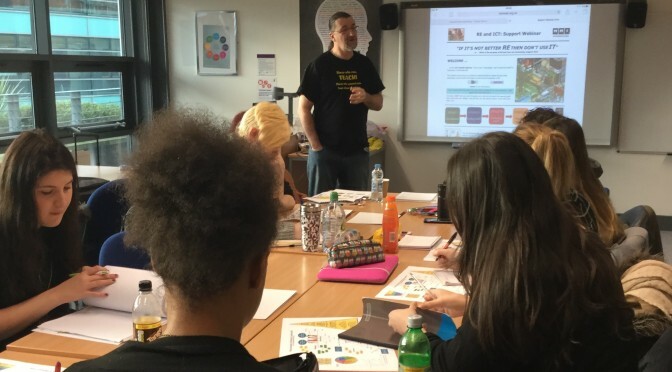 In creating we can create our own resources that can be used over and over again and can be shared with other colleagues both in our own schools and made available online so that colleagues around the country can benefit from their use and adapt to their own classes needs. Curating is collecting a rich system of education tools and making the use out of them both by teachers and students. He showed us a number of different apps that we could use in the classroom, especially on iPads. The main two we concentrated on were Book Creator and Explain Everything. These are an extremely good way to use assessment in school, whilst keeping the pupils engaged. Paul advised us to use Book Creator for year 7 & 8, and Explain Everything for the older years in school. We also got introduced to a website called Padlet. This allows pupils in the classroom to upload posts onto a board, which could be useful for summative assessment. It could also be used in the middle of a module to identify any areas of study that the pupils are not confident in so far, and gives you the opportunity, as the teacher to correct that. The last technology we got introduced to was Plickers. This was my favourite thing of the day! It involves each pupil in the class having their own piece of card which is registered to them, and involves using quizzes. It would be extremely useful for schools who do not have the resources that are needed to download the different various apps that are needed for the technologies above. I think pupils would respond really well to Plickers in school and I will definitely try it out on my final placement in January! As someone who isn’t very ‘tech-savvy’ I found the day’s session to be insightful, educational and also fun.